The Sharkne Acne company prides itself on creating and distributing the best in acne care. 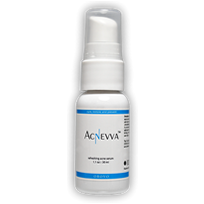 They also claim to provide quick and effective treatment for acne. 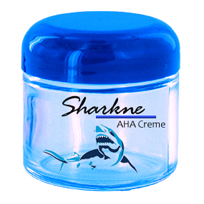 Sharkne is a treatment that is taken in pill form to control breakouts and acne in teenagers. This product is also natural and claims to be vegan friendly. Is Sharkne the most effective acne treatment? Let’s find out. Burdock Root – This root is known to treat infections within the body and help your skin fight of bacterial growths. Burdock root is also a detoxifier. Burdock must be harvested when it is “young” because older burdock is ultimately, useless. When using a product with Burdock root, you must be cautious and realize that another more dangerous plant root could be included in the mixture. Burdock resembles a nightshade plant that can cause death; therefore roots may be accidentally mixed. Dandelion Root – This root is a very common root that is used in a number of treatments ranging from acne care, to male enhancement, and even hair loss product. Proof that it works isn’t readily available, but some believe firmly in its healing powers. Red Clover – This ingredient is typically used in products that cleanse toxins from the blood. 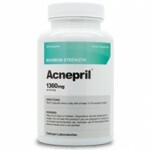 It is very common in almost all herbal remedies and is well known for treating Acne. Yellow Dock Root – This ingredient is likely one of the most important herbal acne fighters. Unfortunately Sharkne doesn’t contain enough of this root to make it worthwhile. Yellow Dock is often used to strengthen the skin and boost your body’s ability to heal. It also contains antioxidants. Neem – This is the final ingredient in the Sharkne treatment system. 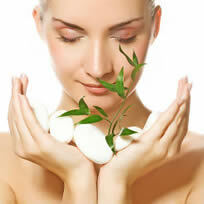 It is primarily used to detoxify, boost circulation, and also help your skin fight against infections. Neem also fights inflammation. Sharkne Acne product is a pill form, which requires 3 pills per day. The website is very unprofessional with a number of errors that are too hard to overlook and forget about. It also claims that it uses Alpha Hydroxy Acid’s, but those AHA’s are not natural and mentioned nowhere in the ingredients. The Sharkne acne treatment product may provide benefit after several months of use – but that comes at the cost of $100 or more.